Kim un-yong Sports Committee Signs Business Agreement with International Sports Strategy Foundation. In March 18 (Mon) 11:00 AM, Kimunyong Sports Committee (Chairperson : Haewon Kim, hereinafter ‘Committee’) and International Sports Strategy Foundation (Chairman : Seung-min Ryu, hereinafter ‘ISF’) signed business agreement at Samjung Hotel located in Gangnam-gu, Seoul under the purpose of contribution to development of both institute and international sports based on the mutual cooperation and exchange. 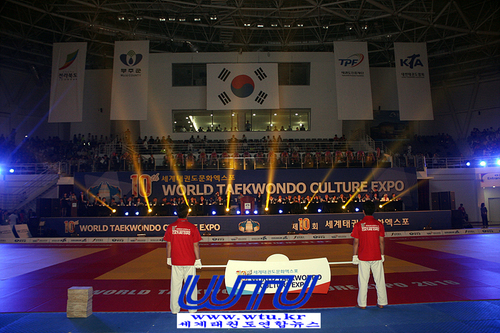 The Committee has been founded by Un-yong Kim who was the former vice-chairman of IOC, founder of Kukkiwon (KKW), and founder of World Taekwondo Federation (WTF) for the promotion of Olympic sports, development of Korean sports, strengthening of sports diplomacy, growth and globalization of taekwondo. 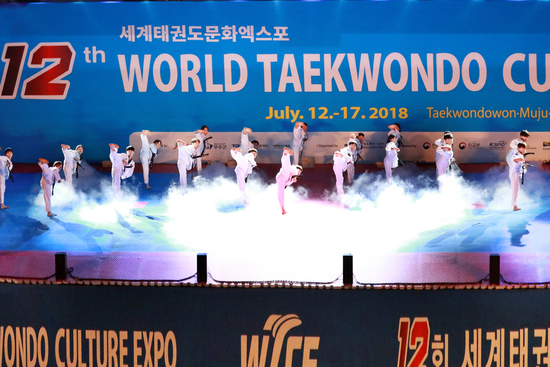 The Committee is continuing global activities such as Kimunyong Cup International Open Taekwondo Contest, sports diplomacy forum, Korea Woman Sports Awards, and sports support business. 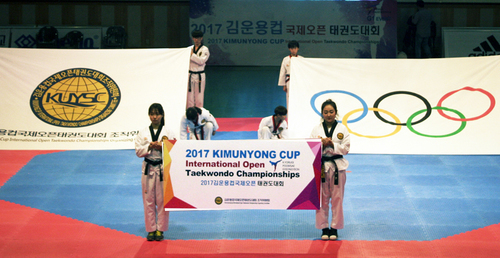 ISF is a foundation under Ministry of Culture, Sports and Tourism and it has been established for promoting international sports cooperation and contributing to strengthening of international competence of Korea. 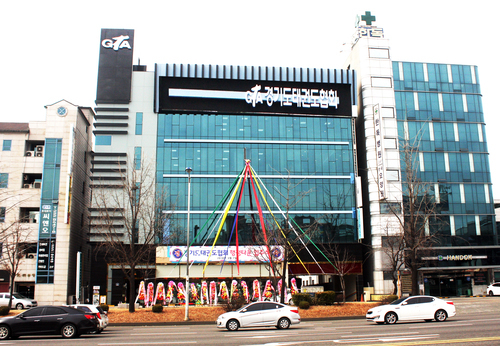 After founded in 2011 under the name of Korea Sports Diplomacy Center, it has been continuing international sports network establishment business, international sports information and analysis business, international sports job business, and youth Olympic camp for advancement and development of Korean sports. In signing the business agreement, the Committee seeks to establish close network between two institutes, △ share and distribute latest news and trend about international sports, △ hold, cooperate, and support international sports event. Secretary general Hyun-suk Seo of the Committee said “We are glad to sign a business agreement with International Sports Strategy Foundation. 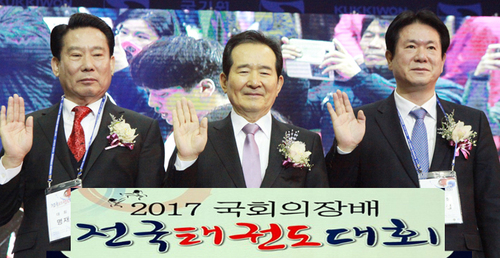 We will try our best to develop international sports diplomacy under the wills of president Unyong Kim”. 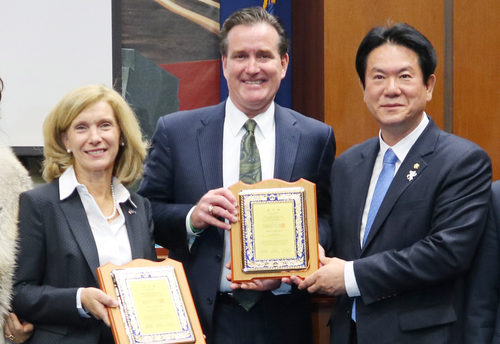 Chairman Seung-min Ryu said “We will make this agreement as a chance to revitalize sports diplomacy in private-level and strengthen diplomatic competence of international sports in Korea”. 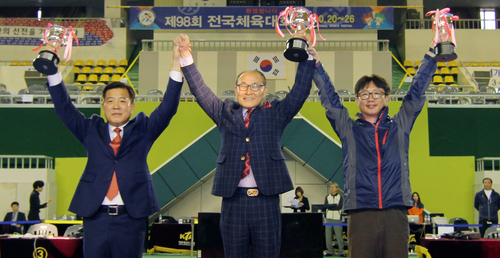 Chairman Ryu is a popular ping-pong player and he won gold medals in 2002 Busan Asian Game and 2004 Athens Olympic Games and won silver medal in 2012 London Olympics. 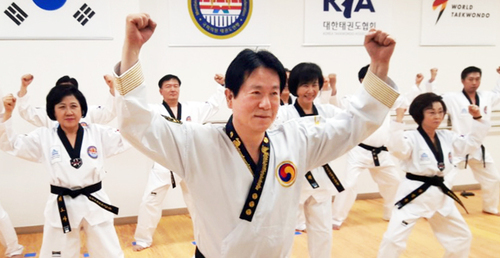 In 2016 Rio Olympics, he was appointed as the IOC member for the first time in Korea. 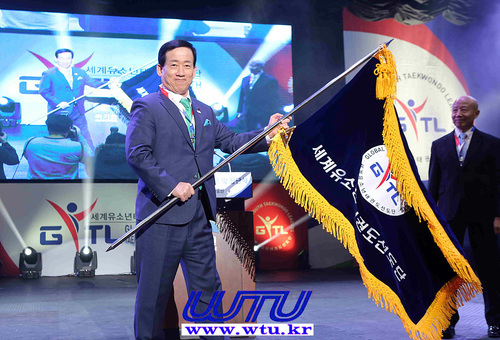 Based on his excellent leadership and faithful attitude, he got appointed as the head of Pyeongchang Olympic village in 2018 PyeongChang Olympic. 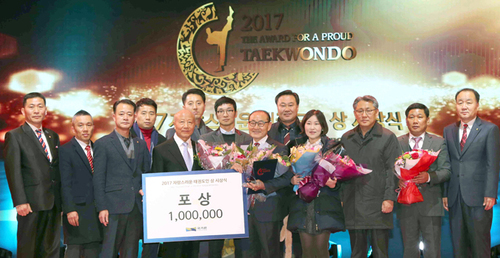 He also contributed in forming Inter-Korean Team for 2018 Jakarta Palembang Asian Game and promoted inter-Korean team for Tokyo Olympics. He is continuing various activities for development of international sports and he also has been appointed as chairman of OCA in last March for its efforts. 사단법인 김운용스포츠위원회(위원장 김혜원, 이하 ‘위원회’)와 재단법인 국제스포츠전략위원회(이사장 유승민, 이하 ‘ISF’)는 3월 18일(월) 오전 11시 서울시 강남구 삼정호텔에서 상호 교류·협력을 통한 양 기관 및 대한민국 국제스포츠 발전에 기여함을 목적으로 업무협약을 체결했다. 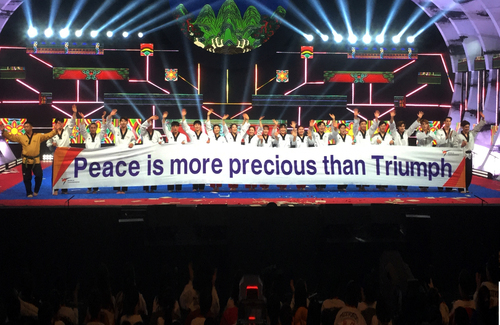 위원회는 전 IOC부위원장이자 국기원(KKW), 세계태권도연맹(WT)의 창설자이기도 한 고(故) 김운용총재가 올림픽 운동 증진, 대한민국 스포츠의 발전과 스포츠 외교 강화, 태권도 육성과 세계화를 위해 설립한 재단이다. 현재 김운용컵국제오픈태권도대회, 스포츠외교포럼, 윤곡여성체육대상, 스포츠지원 사업 등 글로벌한 활동을 이어가고 있다. ISF는 스포츠의 국제협력을 도모하고 대한민국의 국제 경쟁력 향상에 이바지하기 위해 설립된 문화체육관광부 소관 재단법인이다. 2011년 한국스포츠외교센터라는 이름하에 처음 설립된 이래로 국내 스포츠 선진화와 발전을 위하여 국제스포츠 네트워크 구축사업, 국제스포츠 정보 및 분석 사업, 국제스포츠 일자리 사업, 청소년 올림픽 캠프 등을 펼치고 있다. 위원회는 이번 업무협약 체결에 따라 두 기관 사이에 긴밀한 네트워크를 구축하고 △국제스포츠 최신 이슈 및 동향 상호 공유 및 배포 △국제스포츠이벤트 개최 상호 협력 및 지원 등을 위해 협력할 예정이다. 위원회 서현석 사무총장은 “국제스포츠전략위원회와 업무협약을 맺게 되어 기쁘게 생각하며, 고(故) 김운용총재님의 뜻을 이어받아 앞으로도 국제스포츠외교 발전을 위해 최선을 다해 정진할 것”이라고 말했다. 유승민 이사장은 “이번 협약이 민간차원의 스포츠외교를 더욱 활발히 하고 나아가 대한민국의 국제스포츠 외교 역량을 더욱 강화할 수 있는 계기가 되도록 노력할 것”이라고 밝혔다. 유 이사장은 2002년 부산 아시안게임, 2004년 아테네 올림픽 금메달리스트이자 2012년 런던 올림픽에서 은메달을 수상한 스타 탁구선수 출신으로 2016년 8월 브라질 리우 올림픽에서 국내 유일의 IOC 선수위원으로 당선되었다. 당선 이후 탁월한 리더십과 성실한 자세로 2018 평창동계올림픽 평창 선수촌장을 역임, 2018 자카르타 팔렘방 아시안게임 남북단일팀 성사에 기여, IOC 주최 도쿄올림픽 남북 단일팀 추진을 위한 3자 회동 동행 등 국제스포츠 발전을 위해 다양한 행보를 이어가고 있으며 이를 인정받아 지난 3월 OCA 선수관계자 위원장에 선임된 바 있다.